Brought to you by Elle, this top has a charm of its own. 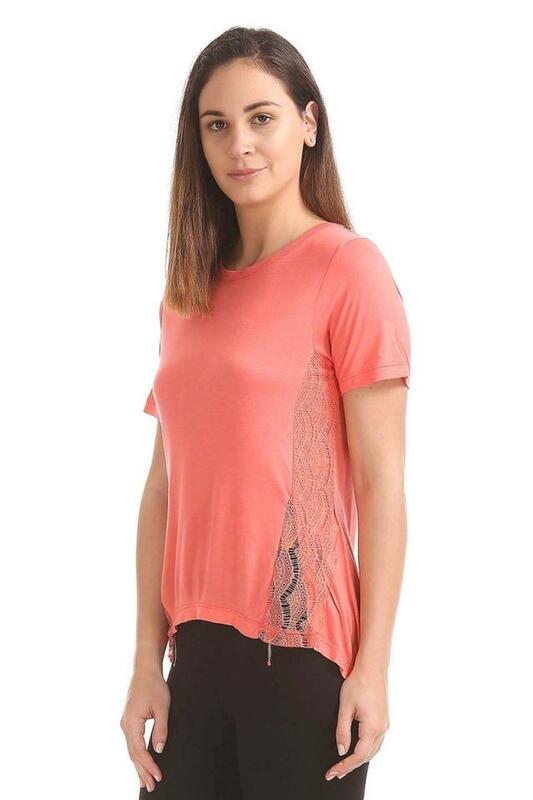 It is detailed with lace yoke that lends it a classy appeal. Its design is further enhanced with the lace detailing at the front. Besides, it is quite comfortable to wear as it has been crafted from superior quality fabric. 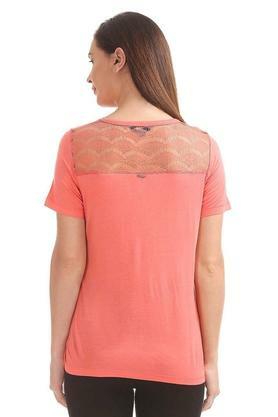 This top, featuring a round neck and short sleeves, will add an extra dose of style to your look. It can be teamed perfectly with a pair of trousers and heeled sandals to make an appearance worth noticing.